"Crusty garlic bread and a nice light Chianti wine complement this meal very well." 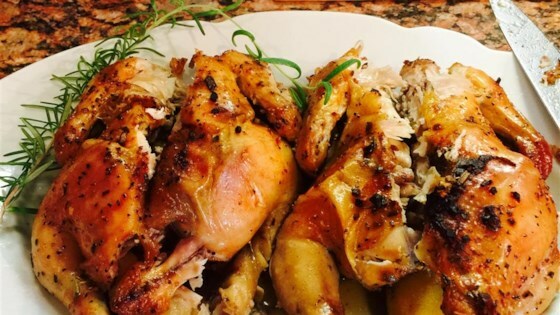 See how to make impressive roasted game hens with a savory white wine sauce. I make this often. I always add extra rosemary and lemons for extra flavor. We like to use the garlic after to spread on bread! !